The title track is dedicated by Ellingtonian tenor Paul Gonsalves to his friendJackie Sharpe, tenor and baritone sax player, jazz club owner (the Downbeat Club in Old Compton Street, Soho) and all-round legendary London character. Sharpe was a fixer and player for the Tubby Hayes Big Band, and was instrumental in organising mixed dates for US and British musicians in the mid 1960s. Gonsalves died in 1974, reportedly in Jackie’s flat, when his addiction to alcohol and narcotics finally took its toll, just a few days before the death of Duke Ellington himself. Paul Gonsalves, tenor saxophone; Pat Smythe, piano; Kenny Napper, bass; Ronnie Stevenson, drums. The Universal obi has a reference to “February 27, 1963”, which I assume is the reference to the date of recording. The liner notes claim it was recorded in Switzerland, no date mentioned. Hold on! (dons lederhosen and slaps thighs). There is more here than meets the eye. According to the liner notes, this session was recorded in Switzerland, where Gonsalves stumbled into a recording studio with a British rhythm section, to escape the cold. Yes, popular knowledge suggests it is cold in Switzerland, snow and mountains, adding credence to an entertaining story but almost certainly pure fiction. Where was Gonzales known to be at this time? And if not in Switzerland, where? Ken Vail’s meticulously documented Ellington Diaries provides a clue as to Gonsalves movements, as well as an insight into the punishing tour schedule of the Ellington Orchestra. Follow me down the rabbit hole. 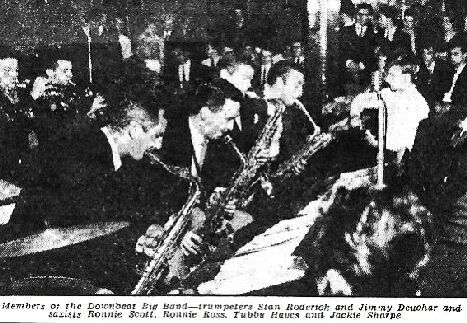 In the opening months of 1963, Gonsalves was on manoeuvres with the Duke Ellington Orchestra touring Europe. The tour kicked off in London, flying in from New York on Wednesday January 9th, 1963. Three days later, Saturday 12th January, Ellington played London’s Finsbury Park Astoria, where Gonsalves incendiary performance drew critical acclaim. The next day, Sunday 13th, they played the Hammersmith Odeon, followed by a week of provincial dates in Bristol, Manchester and Liverpool, before returning to London on 21st January for a TV recording rehearsal. The following week was occupied with more London and provincial concert dates, after which, on 28th January, they took off for Paris. The orchestra spent all of February 1963 touring continental Europe, with concerts in Denmark, Sweden, Austria, Germany, Italy, but significantly, not Switzerland. It ended finally returning to Paris on 22nd February, until 5th March. On that final day, Ellington was suddenly taken ill, diagnosed with viral pneumonia, admitted to the American Hospital in Paris, where he spent a week before being flown home to New York, on Friday 14th March. Gonsalves was playing in the Orchestra front line in Paris, however there was a hole in the Paris schedule. 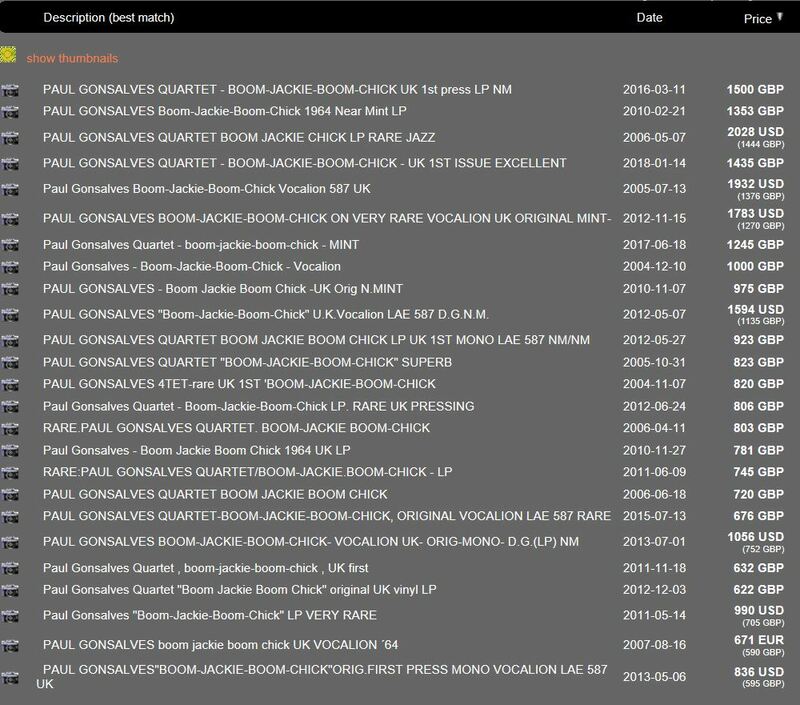 Between 24th and 28th February, during which time the Boom Jackie session was allegedly recorded in Switzerland, Ellington was in Paris supervising a number of vocalist recording sessions, and a Dollar Brand performance, which have several Ellingtonians listed, but not Gonsalves. 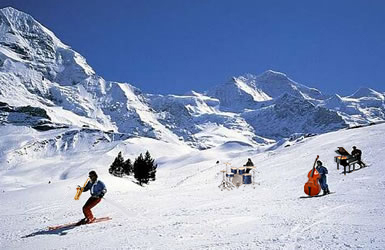 Laying out, Gonsalves could have packed his horn and headed out to the snowy slopes of Switzerland, in the company of an off-piste British Rhythm Section. Or found a nice quiet bar off the Rive Gauche to relax with a few glasses of Pastis, before heading off to find something stronger, and possibly injectable. Or he could have slipped back to London, to stay with his friend Jackie Sharpe, who lined up a nice recording date for him, for Decca, with a top notch London rhythm section. The session was recorded for the Vocalion label, which at the time was being used by Decca to issue US artists. From the superb engineering quality, it was almost certainly recorded at the Decca Studios in Broadhurst Gardens, West Hampstead Lansdowne Studios, Holland Park (hat-tip Simon Spillett! I was guessing, Simon knows.) . Jackie Sharpe no doubt organised and supervised the session, which is why the album came to be titled “Boom-Jackie-Boom-Chick”. The date of the recording and location are deliberately omitted from the liner notes so as not compromise the Swiss cover story. Both British and American musician’s unions were looking for ways to protect their members work, among other means, by restricting the admission of overseas musicians, mandating recording artist swaps – for example, the Tubby Hayes/Zoot Sims swap, and requiring the use of local musicians in line-ups. The respected British music critic and founder of The Jazz Journal, Sinclair Traill, was brought in by Decca to write the liner notes, in a crafty strategy to avoid any union issues regarding Gonsalves unapproved recording in London, by boldly claiming that the recording took place in … Switzerland. Tragically, it is reckoned only five hundred copies of the Vocalion title were pressed, making it today one of the most expensive and sought after discs in the Jazz DJ’s carry-case. Other artists of note: Pat Smythe, piano. Originally from Edinburgh, Smythe enjoyed a first class education (Winchester and Oxford), and subsequently joined his father’s legal practice in Scotland. However he decided instead to pursue his passion for jazz piano, moving to London in the ’50s, where he joined the Joe Harriott Quintet. From the opening notes of Boom-Jackie, that monstrously wicked groove, I should have guessed there was a fine pedigree behind it. Smythe’s piano style is suited to an up-scale mahogany-panelled hotel lounge bar, perhaps the Ritz or Waldorf-Astoria, pretty in a nice way, rhythmic, and subtle enough not to overshadow the guest horn or to drown out background conversation. When called for he swings hard, and stylistically he puts me in mind of Barry Harris, or Junior Mance. Smythe went on to a busy schedule in the 1970s , working mainly as an accompanist in the London clubs, forming the Pat Smythe Trio with bassist Kenny Napper and Tony Crombie, drums. In his time as London accompanist of choice, Smythe recorded with many visiting Americans, including Stan Getz, Ben Webster, Eddie Lockjaw Davis, Zoot Sims, and of course, Paul Gonsalves. Unfortunately, after a long illness, Pat Smythe passed away, in London, in 1983. “This record is a typical instrumental post-bop album, still not on the verge of progressive and free jazz, filled to the max with memorable yet steaming compositions. Gonsalves nails it as a saxophone player and his backing crew… joins in to create a stream of sound that drags your soul away directly when you put the needle in the groove. The playing feels easy with sweet but rather melancholic melody lines from piano and sax. It seems like they were singing love songs to each other while the rhythm section lays down the beat both lead instruments dance to. The swinging sleaziness of the one or another passage heats up your blood to a simmering level. As if you were swallowed into a scene of Jack Kerouac’s “On the road”, where a sax player goes wild in a small and dusty club somewhere at the West Coast. Paul Gonsalves and his guys take their listener onto a journey due to these very expressive and strong melodies. Speaking in received pronunciation British, I’d just say it’s jolly good, really. 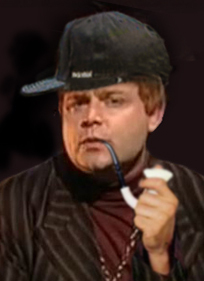 It is not obviously “British Jazz” in the later Rendell Carr deviation. It is not obviously American bebop, though it swings like hell, inside. It is the product of unusual temporal and geographic encounter, as though a modern jazz-DJ had been accidentally time-warped back to 1963, perhaps reincarnated as Jack Sharpe, and directed something that 50 years later would fill a ultra-hip club-night in Camden or Shoreditch, something of a one-off, a genre of its own, one that has yet to find the right name for itself. Many of the other tracks show off Gonsalves smeary “drunken” tenor, the polar opposite of the hard tone of Joe Henderson, including some beautifully presented ballads. None quite match up to the sinewy groove of the title track, but more than enough pleasure is to be had from Smythe’s sensitive comping, Napper’s walking bass and Stevenson’s precise percussion, woven into a fantastic thread of many jazz colours. This is an album I would not want to be without, reissue or not. Vinyl: UCJU 9058 reissue (2006) of Vocalion 587 (1964 first release), mono. Tremendous dynamic and tonal range, delivered with a clarity and punch it is difficult to believe it is a “mere Japanese re-issue”. Given my general experience of the usual gap between vintage original and Japanese reissues, I can only conclude that the original must be even more astonishing. 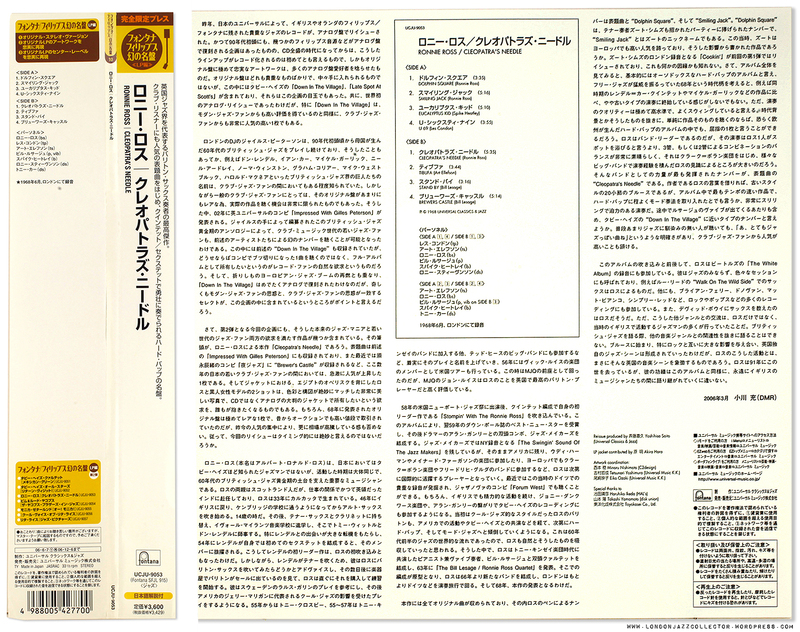 Grappling with the text of the Japanese insert, which drifts between Japanese and English, it eventually explains the meaning of the UCJU catalogue number: Universal Classics and Jazz, UK, a series which contains a number of important ’60s Fontana issues. The alternative is, of course, the original. If you are feeling flush, there is one currently on offer for $4,500. The Top Twenty Ebay auction history gives a more sober account of value. It is, in an odd way, a better deal than some trophy Blue Note prices. 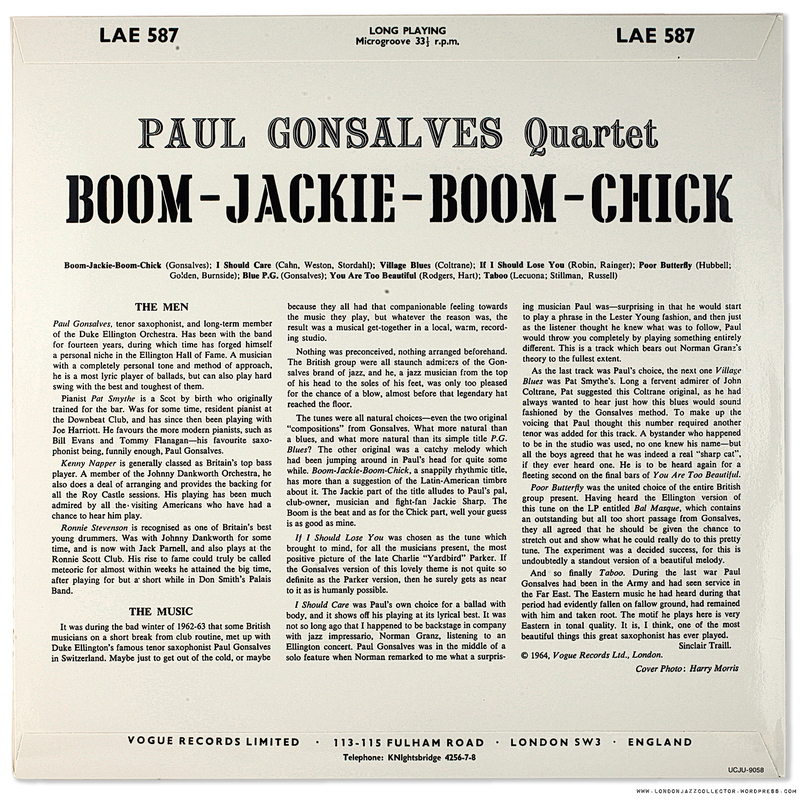 Another alternative is this extremely obscure recording dating from exactly the same period of Gonsalves work, one I have never before seen, Rare Paul Gonzales Sextet in Europe 1963, on an obscure Italian label Jazz Connoisseur. Adding to the mystery, the copy on pictured on Discogs bears a green sales sticker on the back with a price DM 16.00 (must be Deutchmarks) with the words “Jazz By Post” and what could be a date looks like (19)78, which was its year of release, according to Discogs. DM 16 is about £7 GBP which is probably seems about right for that time. I wouldn’t be surprised given its heritage, if it too was “recorded in Switzerland”, who knows. Pardon my Japanese, more affordable gems from UCJU to come. Collectors with any experience of these issues, or indeed the original Boom-Jackie-Boom-Chick, feel free to chip in (lederhosen optional). This post is sponsored by the Swiss National Tourist Board. 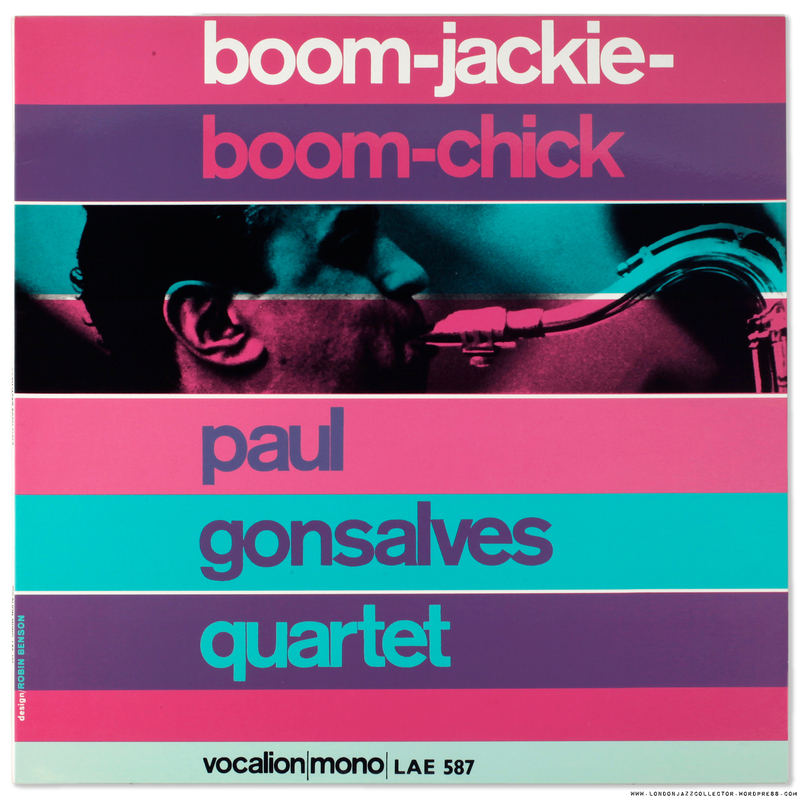 This entry was posted in Paul Gonsalves, Vocalion and tagged British Jazz 1962 - 1972, Ellinton Tour Europe 1963, Jackie Sharpe, Pat Smythe, Paul Gonsalves, Universal Music, Vocalion by LondonJazzCollector. Bookmark the permalink. all material from live unissued recordings in Europe. low price, low quality and, at a certain time, Made in Italy was changed into Made in Israel! This album stands out as an excellent example of just good jazz which cannot be pigeonholed. My Vocalion is of the usual impeccable Decca quality. I stand corrected, Simon thanks. I have no idea how these decisions get made, perhaps its down to who has available studio time for that date. Sounds great. Virtually all the other Jack Sharpe produced “US star meets Local Lads” albums were done at Lansdowne. That includes the Al and Zoot in London LP and both Tubby/Gonsalves albums. Denis Preston who co-ran Lansdowne was a huge Ellington fan so that probably swung it. Jack S. used to make some of Duke’s men more “comfortable” when in London and there’s a suggestion (ahem!) that the visiting Americans played these sessions as an informal thank you for services rendered. Two musicians I know who were present on one of the Gonsalves sessions have told me a disorganised it all was and that there were a lot of “substances” that kept interrupting proceedings. Thanks for your comments Simon, very interesting to read.